With today’s busy lifestyles, many working professionals, such as managers, doctors and lawyers, don’t have time for even a basic errand like grocery shopping. They would rather pay someone else to do that to free up more of their scarce leisure time. That’s good news if you’re dependable, organized and interested in starting your own grocery shopping business.To learn more about this little-known, but profitable service business, go to www.getgogrocer.com and http://www.getgogrocer.com/start.php to learn how to start fast and inexpensive. A grocery shopping and delivery business is simple and inexpensive to start, yet it offers great potential, with full timers making as much as $50,000 yearly. 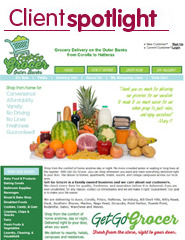 A grocery shopping business can be operated with not much more than a reliable vehicle, website and a cell phone. In addition to working professionals, there is another group that depends on a personal grocery shopper to help them. Seniors and those confined to their home because of health issues or handicaps also need someone to help them with those trips to the grocery store that many of us take for granted, as well as other routine errands. Unlike many businesses, you don’t need a fancy office or vehicle, and formal training is definitely not necessary. Nor is business experience, as most professional grocery shoppers will tell you that organization and the ability to multitask are what really count. Most grocery shopping businesses charge a fee based on the size of the grocery order. A typical fee might be $25 for a $180 grocery order. Regular customers often buy a monthly “package,” which gives them a small discount for using the service several times a month. It’s a win-win situation, as the grocery delivery business can get paid in advance at the beginning of each month, and the customers save around 10%. Finding new customers in the beginning can be challenging, but there are many free or low-cost ways to spread the word. For example, a free ad on craigslist.org can bring in new customers, as can a flyer or business card posted on the bulletin board at local grocery stores. Referrals are one of the best sources of new customers, and you’ll find that many customers who appreciate your services will tell their friends. This is especially true for seniors, who pass on information about any new service that improves their lives. For those who need to balance raising a family with earning money, the flexible hours offered by a service business like a grocery shopping service is a big advantage. Combine that with the dependable earnings from those regular customers, and the satisfaction of helping others, and you’ve got a winning combination for a rewarding new business.To learn more about this little-known, but profitable service business, go to www.getgogrocer.com and http://www.getgogrocer.com/start.php to learn how to start fast and inexpensive.